Again another qualify year where we won best innovated float. Donald Duck, Winnie Pooh, Goofy, Mickey and Minnie were floating along on the float as tow matter pulled them into Chambersburg. 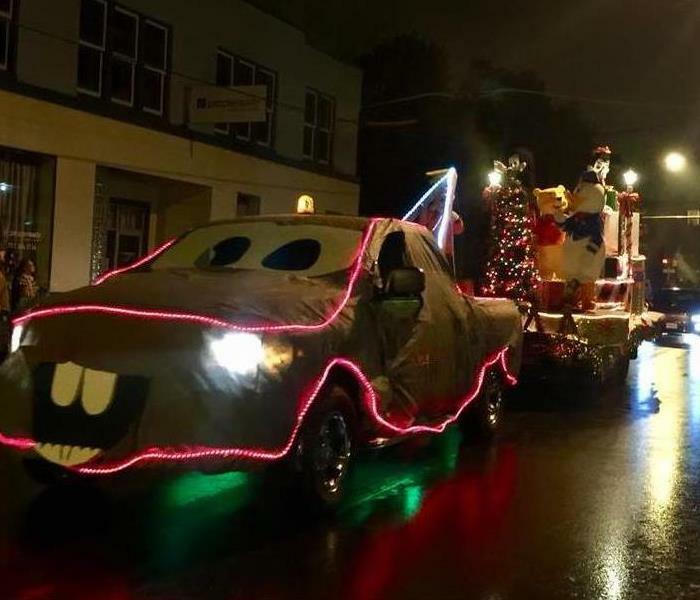 For the last few years SERVPRO has brought everyone's favorite charterers from Disney to Chambersburg at the annual holiday parade. 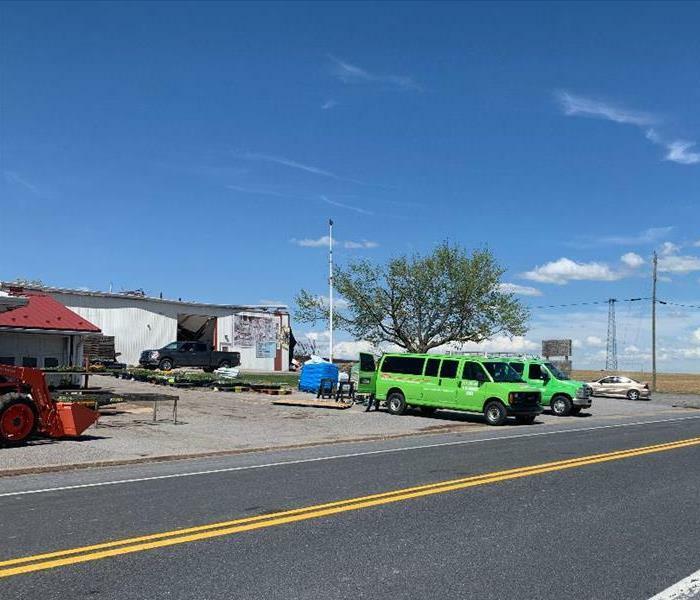 SERVPRO of Chambersburg host several blood drives for the American Red Cross. 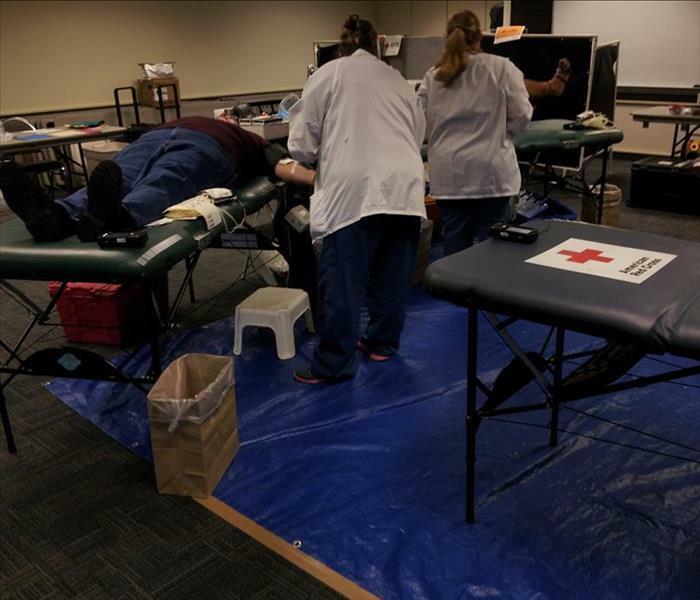 Our employees even donate blood! 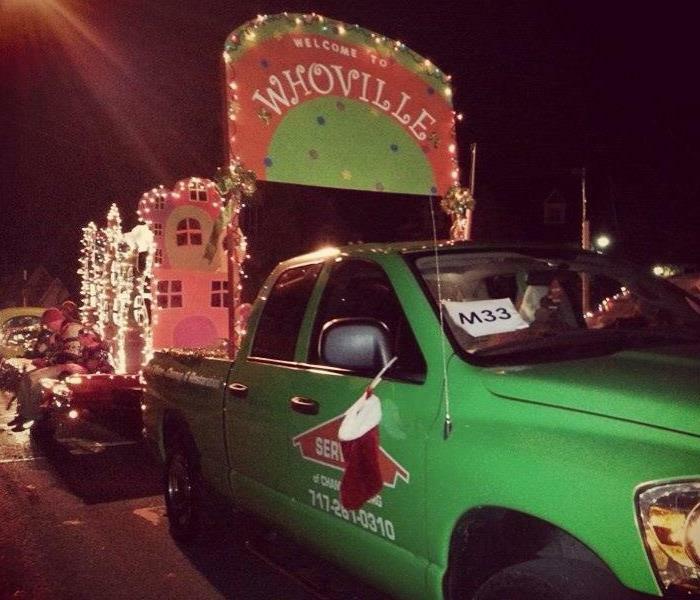 SERVPRO of Chambersburg brought WHOVILLE to downtown Chambersburg for the Christmas Parade. To check out more photos from the parade visit our Facebook page. 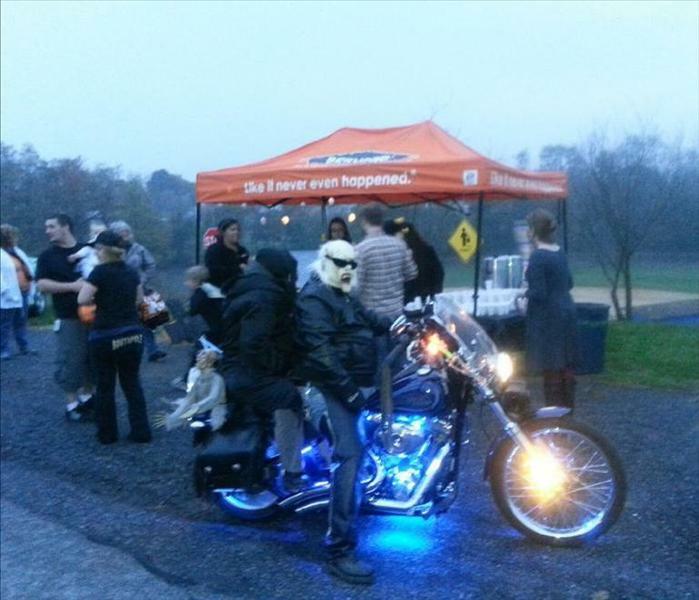 It's very important that you include safety into your Halloween celebrations this season so SERVPRO of Chambersburg hosted a #Safety Stop on Halloween nigh at the "Pit" ball field in Kensington Heights.We had glow sticks, candy, and hot coco to set all the little ghouls and goblins up for a safe, fun evening! 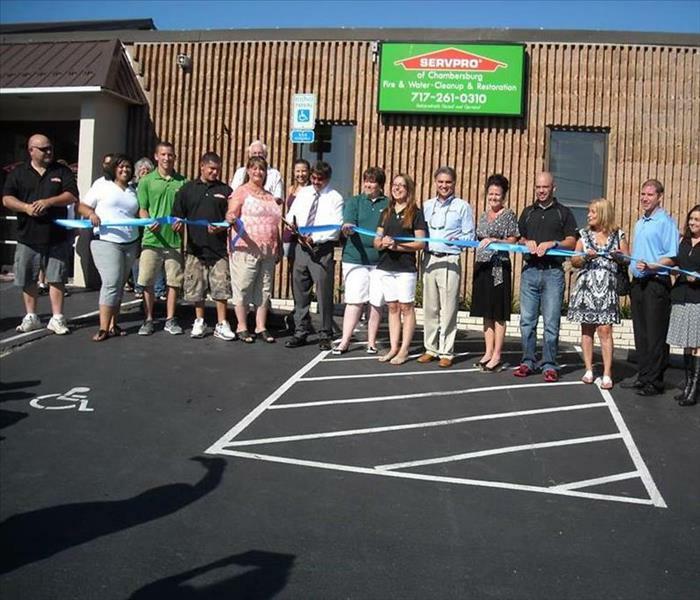 The Chambersburg Chamber of Commerce and SERVPRO of Chambersburg cutting the ribbon. 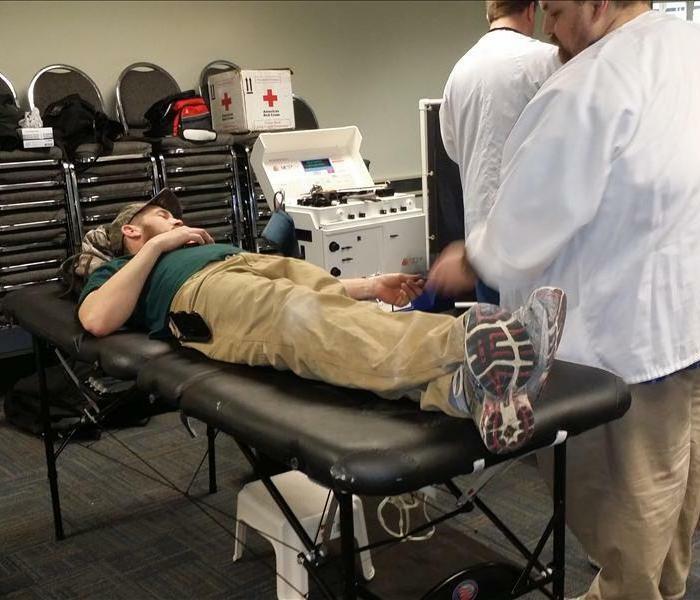 Recently SERVPRO of Chambersburg and Station #4 Fire Department teamed up to host an American Red Cross Blood Drive! We plan on hosting more blood drives in the future so stay posted on future dates! 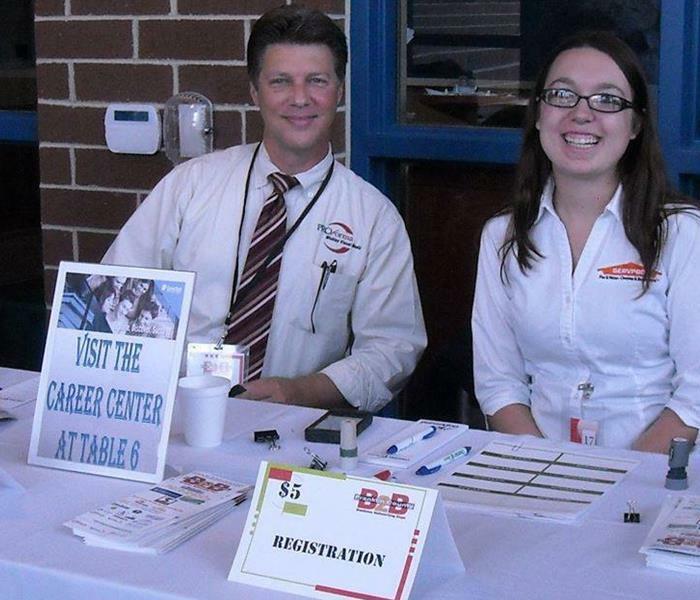 At the Business-to-Business Expo by the Chamber of Commerce, Volunteering at the registration table is Dennis Mickley and Brittany Snyder (Marketing Rep. SERVPRO OF Chambersburg), pictured. This first-time event increased awareness of the dozens of Chamber members who participated. 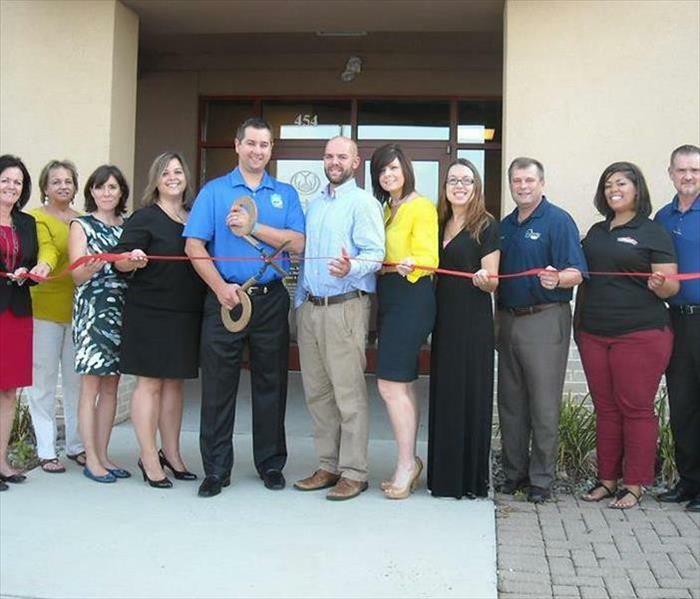 Marketing Representatives from SERVPRO of Chambersburg Brittany Snyder & Chanelle Green visited Victor Campbell, owner, as he cuts the ribbon cutting ceremony at the Chambersburg office of Campbell Insurance & Investments, LLC, 454 Gateway Ave. 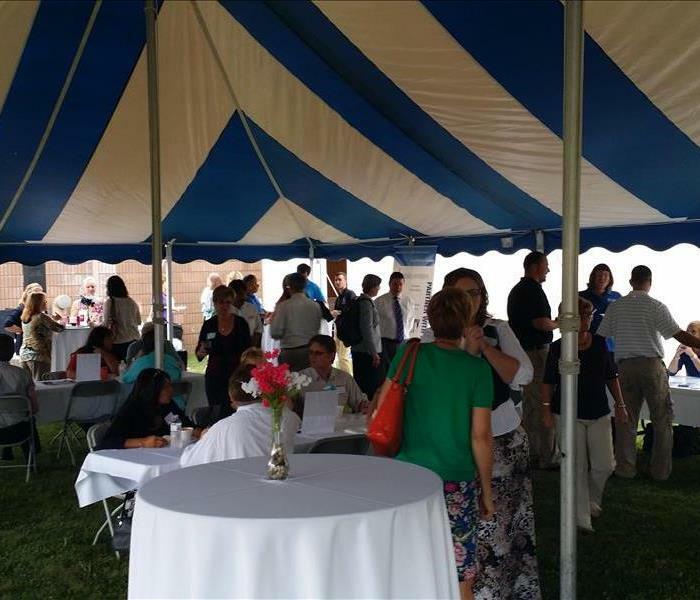 He was surrounded by employees and well-wishers who included representatives of the Greater Chambersburg Chamber of Commerce. 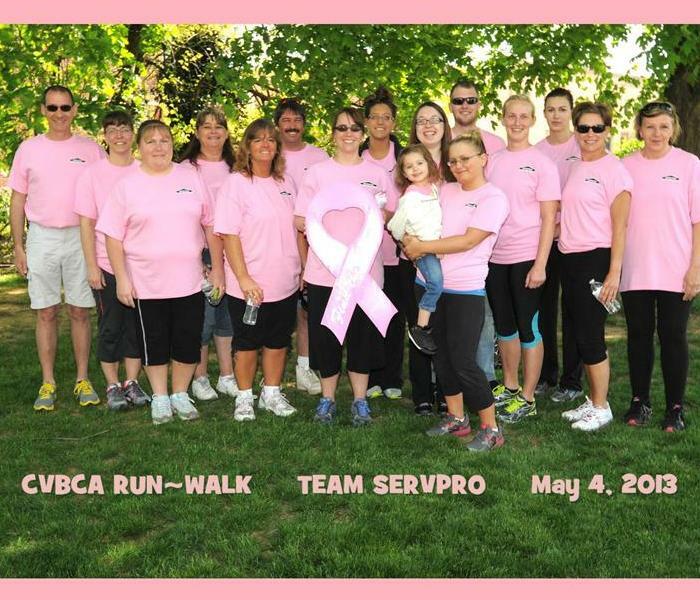 SERVPRO of Chambersburg at the Cumberland Valley Breast Care Alliance 5k walk on May 4 2013. Marlin and Addie along with the team of friends, family, employees walk to support the community. 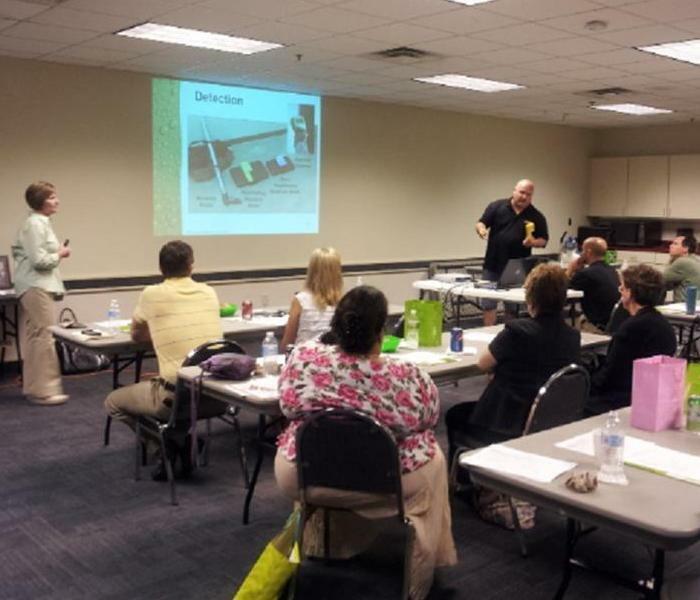 On August 7th 2013 there was about 20 agents/adjuster in the area that attended the 5 credit Continuing Education Class for the Insurance and Restoration Industry. The classes topics were, Ethics and Mitigation Awareness. 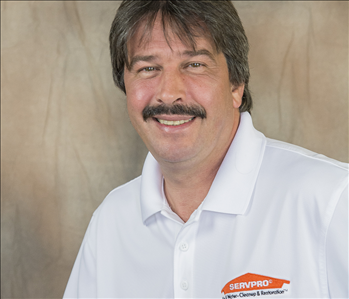 SERVPRO of Chambersburg is working with the Insurance company's to better serve the homeowner's needs. 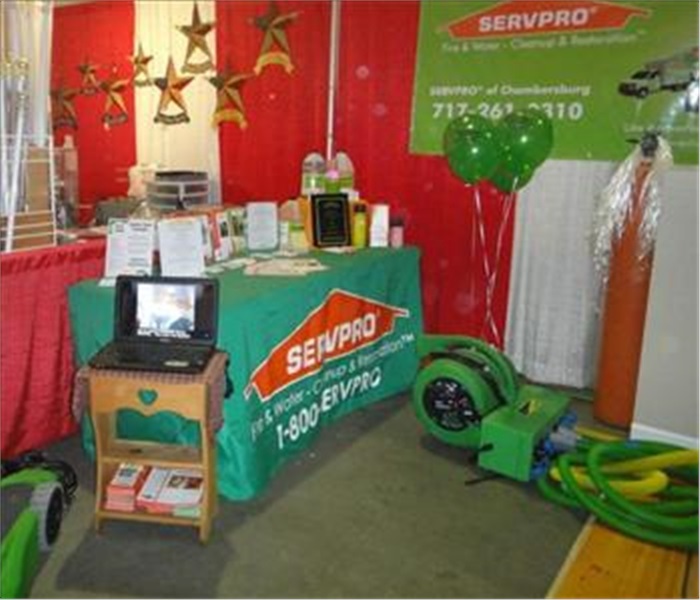 SERVPRO of Chambersburg display at the 2011 Builder's show in Waynesboro Pa. The theme was water damage. 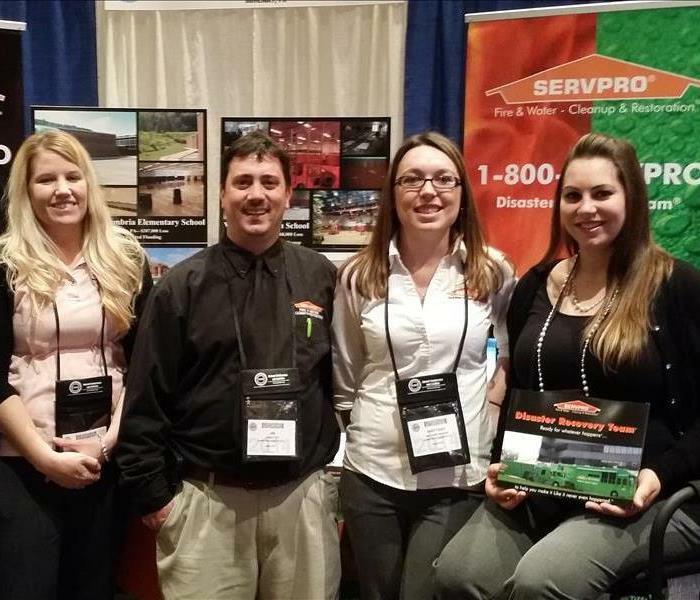 In March, multiple SERVPRO franchise joined together for the Pennsylvania Association of School Business Officials in Hershey, PA. We informed the school officials how SERVPRO can handle any size of job that could happen to their school. 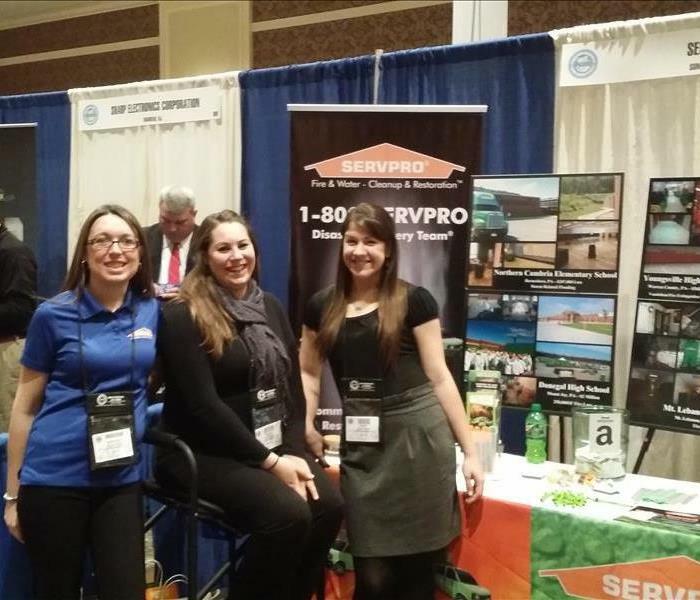 SERVPRO at the Pennsylvania Association of School Business Officials in Hershey PA. 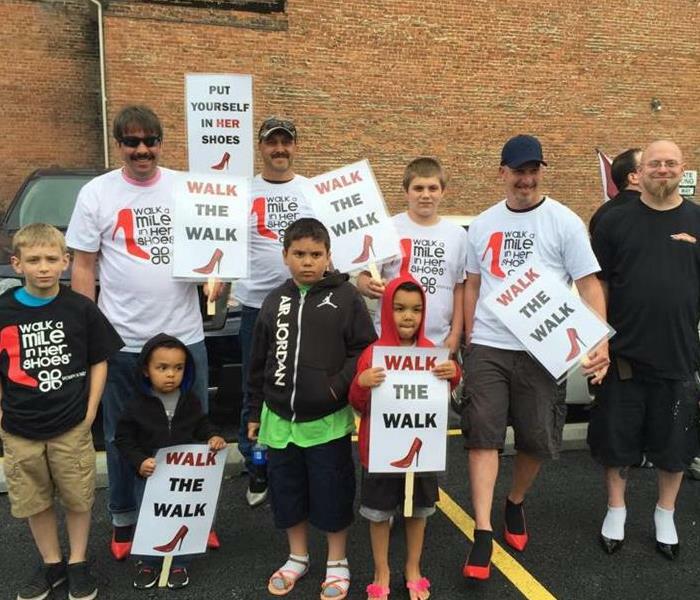 Walk a Mile in Her Shoes® is a symbolic gesture of men marching in female footwear to raise awareness on the issue of violence against women. 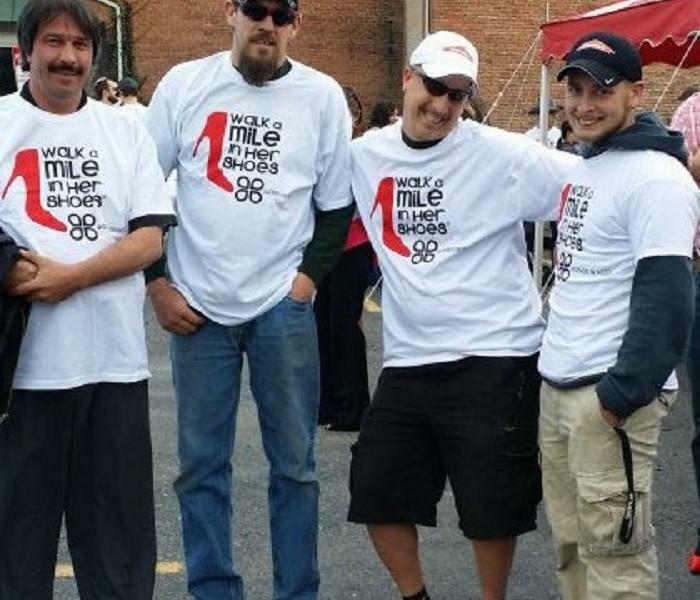 SERVPRO of Chambersburg owner, Marlin Myers and 3 of the employees join to raise awareness for this very important cause. 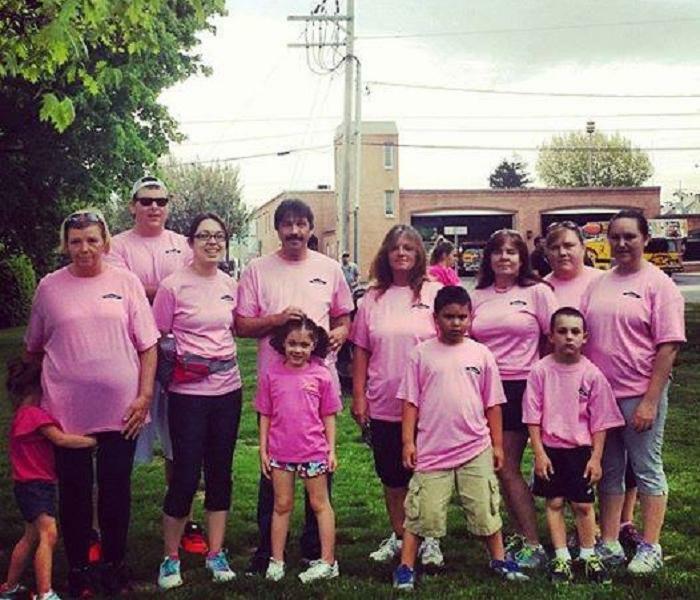 Team SERVPRO at the Chambersburg annual Breast Cancer Walk in May 2014. 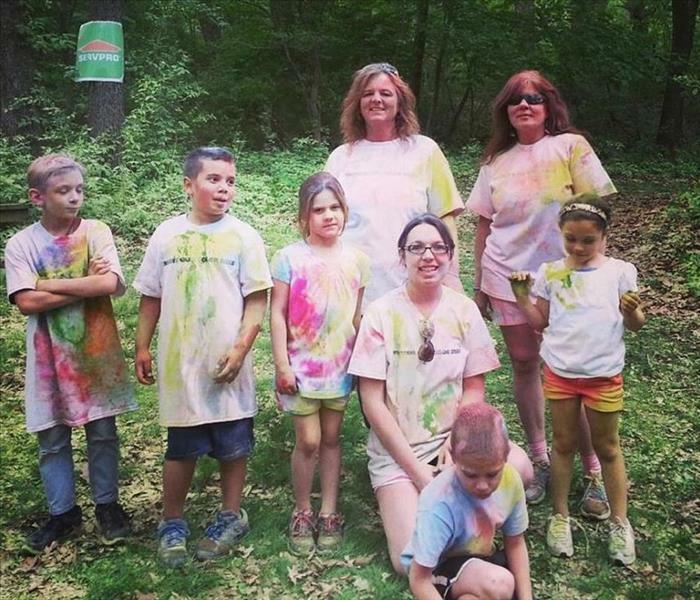 SERVPRO of Chambersburg is a proud sponsor for the 2014 Chamberbsurg Color run to benefit the Chambersburg school district when families have financial life changes, and are in need of some help. SERVPRO of Chambersburg had a coloring station as well as a group of runners. 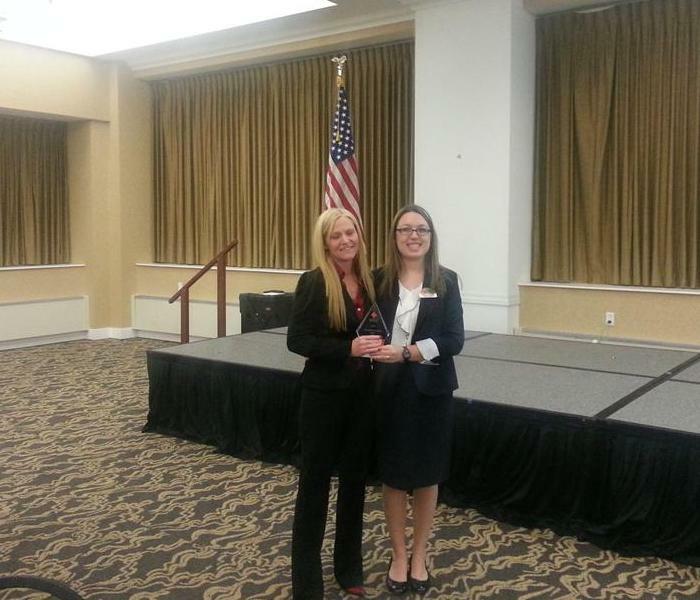 SERVPRO of Chambersburg was proud to be a sponsor for the 2014 Hero's Recognition held by the American Red Cross. SERVPRO of Chambersburg presented the 9-1-1 Dispatcher Hero award and the Law Enforcement Hero award. We would like to thank all the Hero's for all their services that they offer for the community. 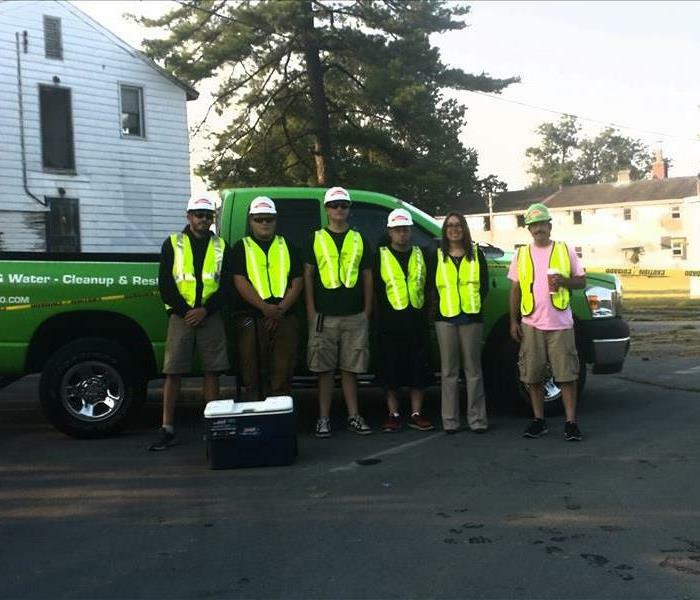 SERVPRO of Chambersburg and Fayetteville Contractors, Inc. donated some time and resources to the Hamilton Heights Youth Baseball team to help them demolish several buildings so they can build a nice new baseball field for the Chambersburg Community. 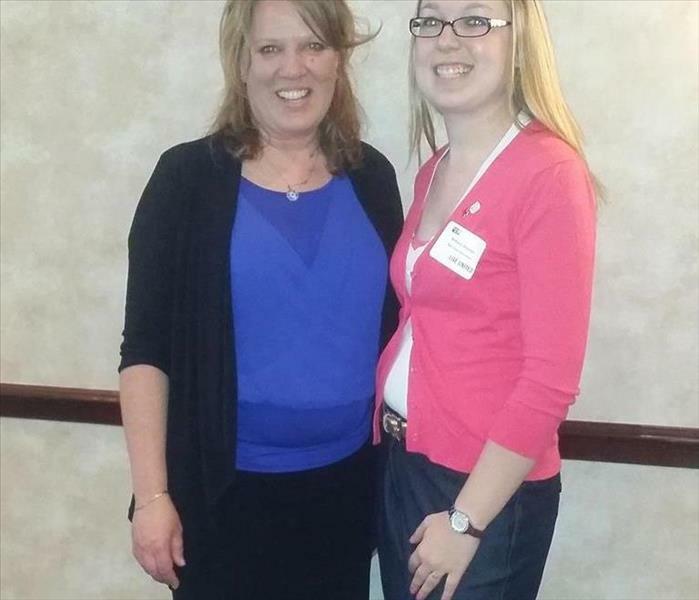 On Right, Brittany Snyder General Manger of SERVPRO of Chambersburg with Amy Hicks, Executive Director of United Way. 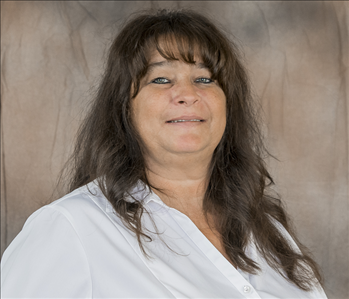 Brittany serves on many different boards in the community. Here, she is repressing the American Red Cross as a volunteer ambassador attends the Franklin County United Way Campaign Closing Event in March 2015. The SERVPRO of Chambersburg men and boys walking in heels in downtown Chambersburg to raise money for Women in need! 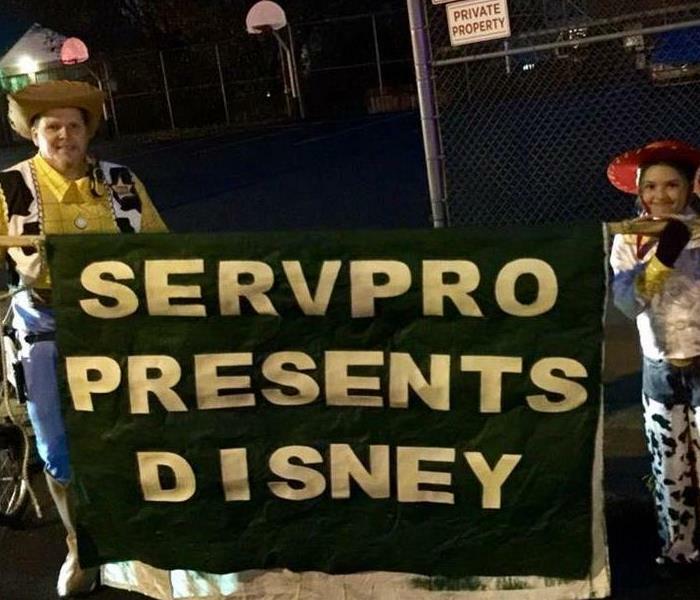 SERVPRO of Chambersburg brought Disney to Chambersburg for the 2015 Christmas Parade! Hope you all enjoyed the show.